professional, respectful and courteous to our family and neighbors. They work hard and have pride in their work. 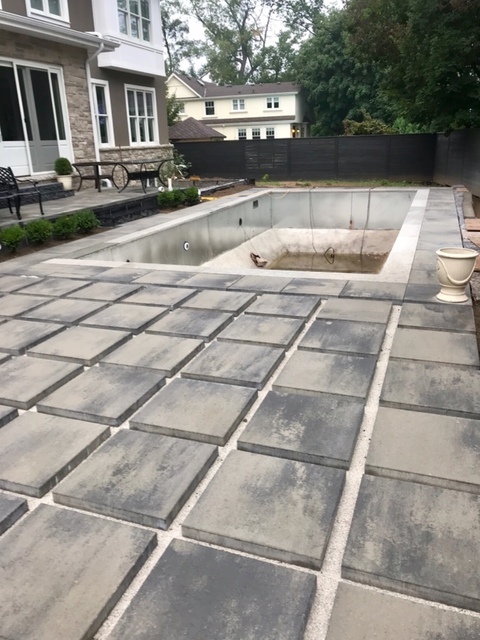 We are very happy with the competed project. We have been and would recommend them to anyone. Thanks for taking the time to add a review for us. we hope our composition will give your family the lasting enjoyment we strove for while executing the project. You were a pleasure to work with. 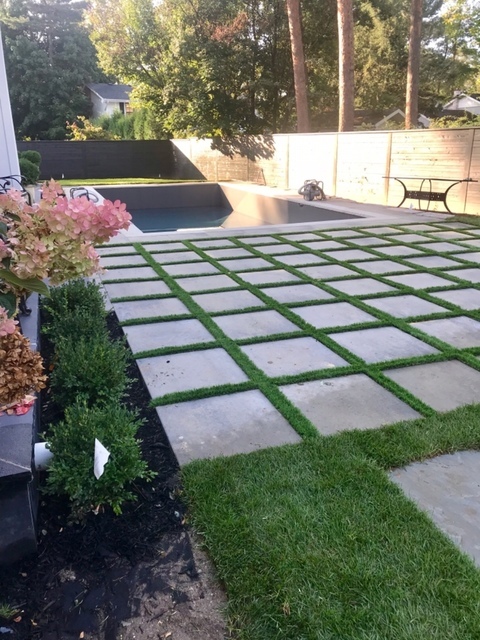 We asked Dave and his crew to install artificial grass and do garden work for our back yard. They are all very professional and knowledgeable in their craft. The work done is superb and such a welcome change from our old yard. In fact, our surrounding neighbours are quite jealous at the beauty of the work done. 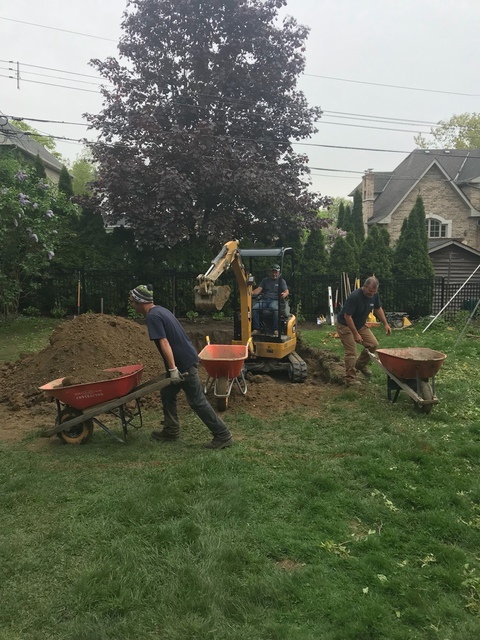 The work crew and the their garden specialist is professional, friendly, efficient and worked above and beyond the set plan to accommodate our family's personal preferences and needs. 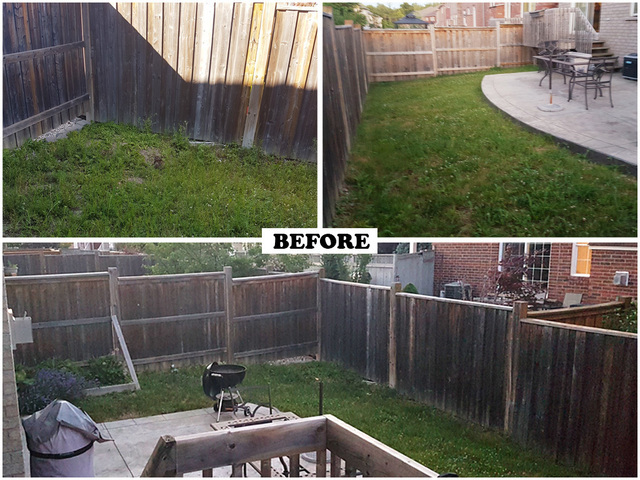 They were very respectful of our property and cleaned up so well afterwards that it seemed like the yard just appeared on its own! We highly recommend this company for the excellent work done, their professionalism and for the care they have for both our property and our family. Hello BJ. Thank you for your kind words and thank you for being so good to our crew. It was a pleasure. I hope that you and the whole family have a great summer. Keep in touch. 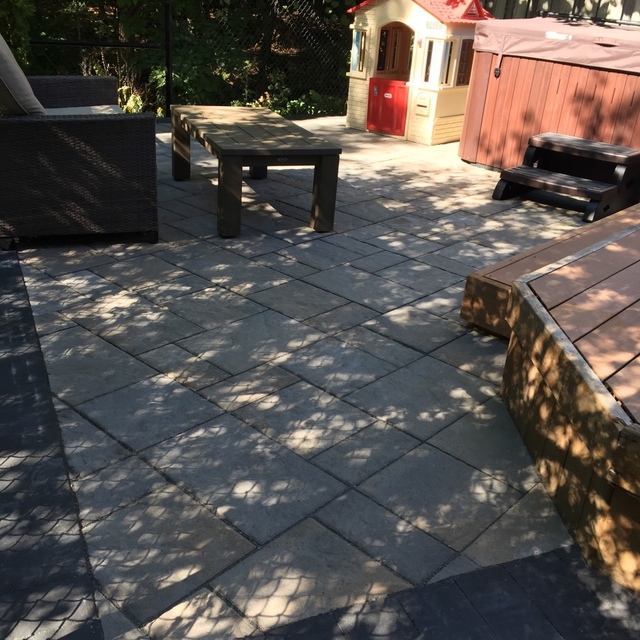 We waited 10 months to post this review as we were waiting for a winter to pass by to see how our backyard looked. 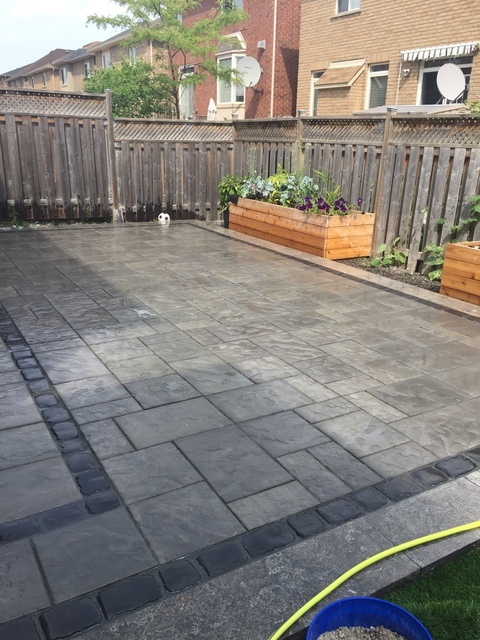 Our backyard looks AMAZING and we're the envy of the entire neighbourhood. 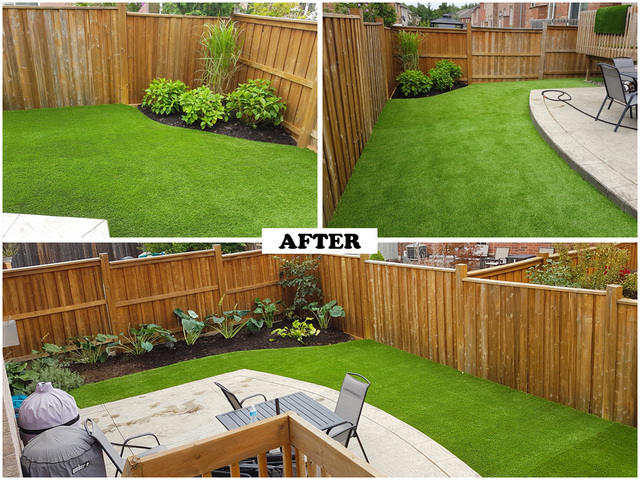 Last May we called Dave and his team to come install artificial grass in our backyard. As we live at the bottom of a hill, we were very worried about the grading so that the water would be directed away from the house. 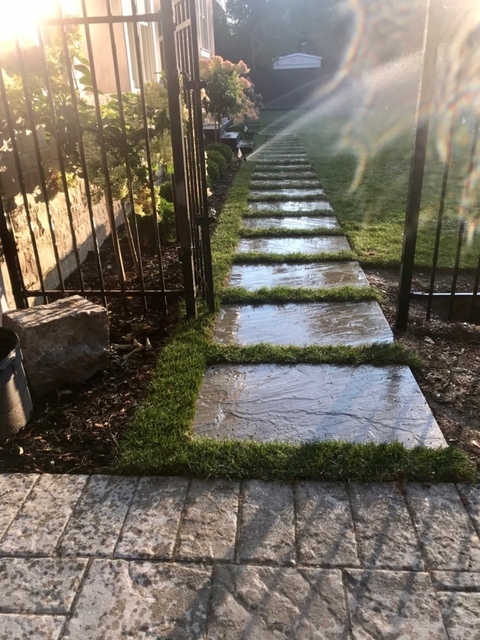 Dave's team, lead by Jesse, dug up all the dirt/clay, trucked it away, brought in screening and limestone, patted down and graded and installed the artificial turf. All of the guys were professional and pleasant. They even dealt with my wife who was constantly watching and on top of them. 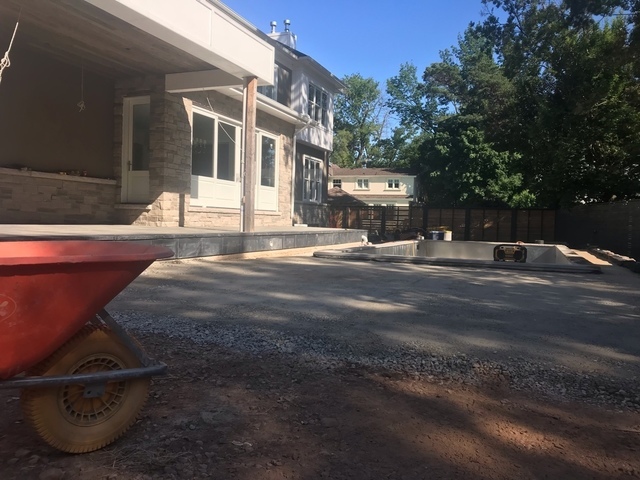 We were looking forward to calling them back this year to quote on our front driveway, lawn and porch and hopefully we'll be able to finish it off this year. 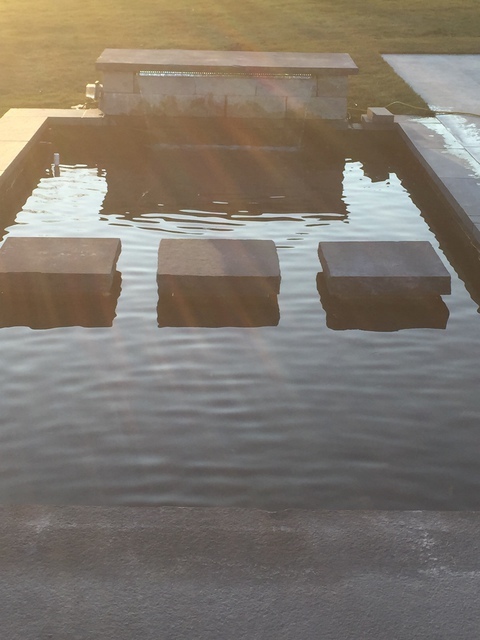 We hope that you are enjoying your swim spa and the low maintenance yard. All the best to you and the family. After shopping around for artificial grass installers, Two Guys and a Shovel was a clear winner. 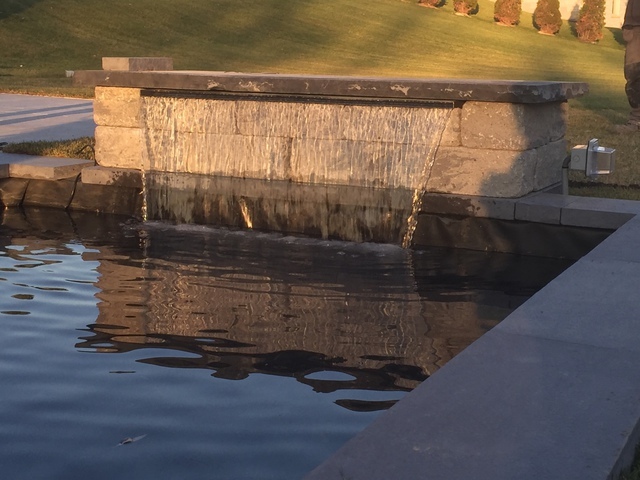 Dave was able to provide an amazing product and installation. 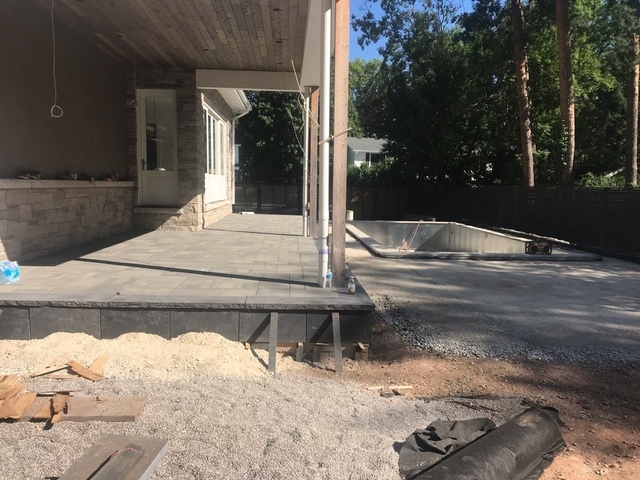 The crew did an amazing job and even though it was a fairly small job (390 sq feet), they were willing to come out several times to make sure we were 100% satisfied. They went above and beyond the original project plans - I highly recommend this company. So glad you had a great experience. We strive to deliver a solution our mothers would be proud of. All the best to your wonderful family. This is my second time around seeking their services. 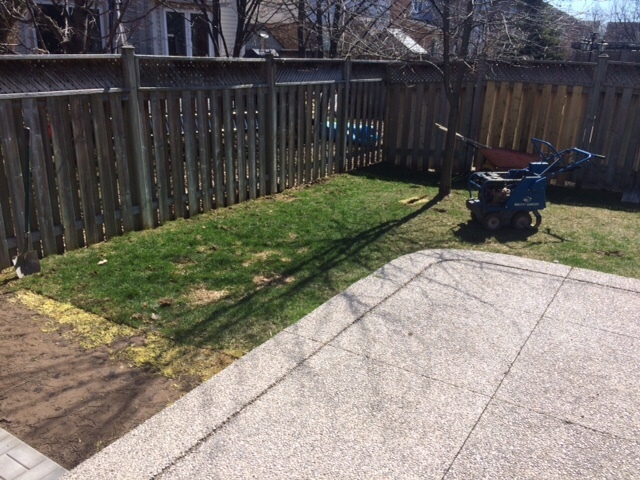 In 2015 I asked them to rip up our backyard for some artificial turf (which still looks great)... and this year they tackled our front yard. Out go the weeds, in come beautifully arranged and cut interlock, with a wonderful low maintenance garden area. 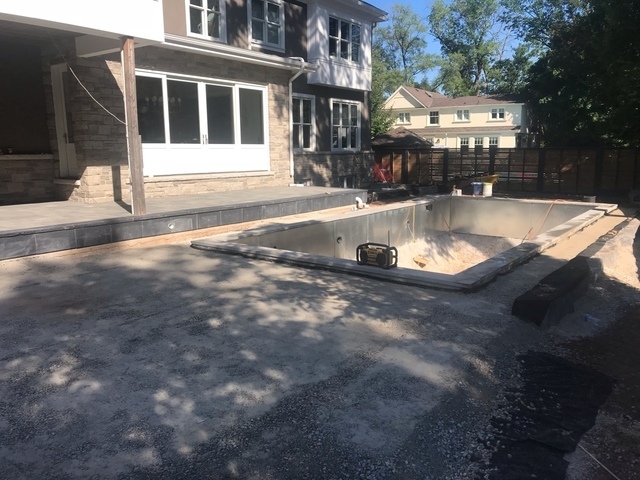 While my neighbours had people working on their spots for weeks, Dave and Paul had their crew in and our inside of a week. The photo attached doesn't have the plants in yet, but you can see how great the work is. 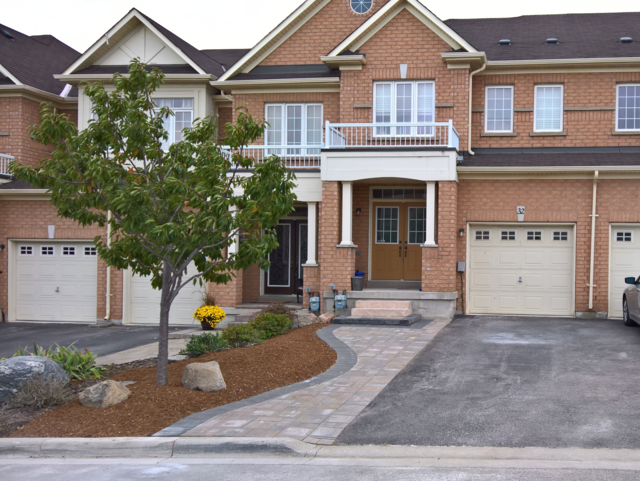 They are responsive, friendly and exactly what you hope to find when seeking home renovation services. 100% you should talk to these guys if you are looking to get a job done. Thank you for your kind words Mark. Pleasure working with you as always. This is my third job done by two guys and a shovel, and I can't say enough how much I love working with them. I know I can trust them to get it done on time, on budget, and with a high quality end product. Would highly recommend. Thanks for the review Teri. We've enjoyed working with you over the past few years. Thanks Astrid. It was a pleasure working with you. Call us anytime to have a look at that front yard. Dave and Paul were so prompt in getting back to me with a quote and from then on the project just sailed through. 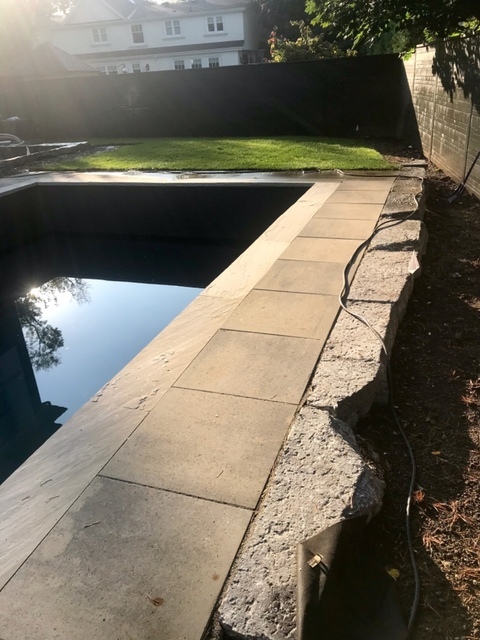 The work was done in a confined area and the crew handled it with friendly, polite professionalism. The yard looks so fresh and lush and will be like that for years to come, especially with a large dog. We are certainly glad you love it Brooke. Thanks so much!!! 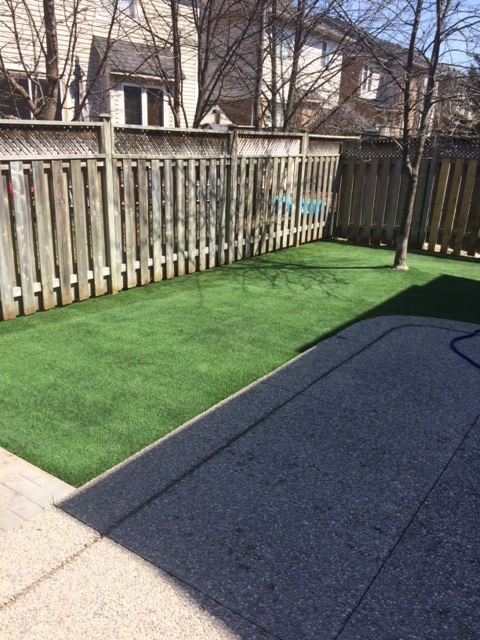 Paul and his company did a great job replacing our backyard grass with artificial turf. He was great from coming out to quote all the way through follow-up on performance of turf with the dogs. He even sent back his guys to add more fill without being asked. I would recommend his company to anyone looking for great service and quality work. This review will say I am from Chicago but we moved to Oakville last year. I should also mention that we love this new turf!!!!! So happy that you are enjoying the turf. Two Men and a Shovel Revived our Garden – Dave, Paul and their team transformed our entire back garden in August 2014. 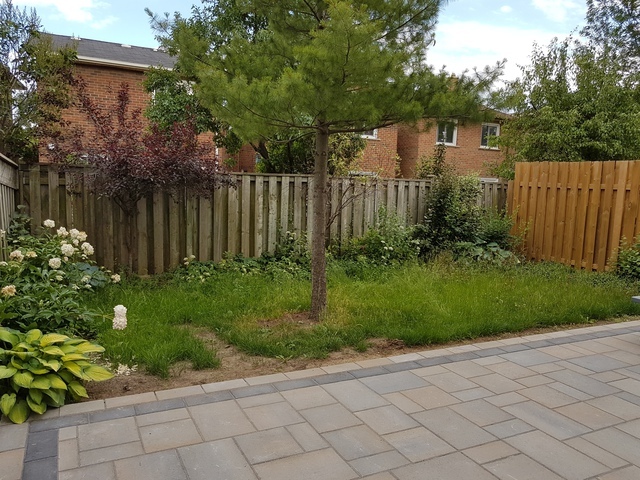 It included preparing the garden for patio stones, laying the stones, building a new deck, building a raised vegetable garden, building a trellis for a large hydrangea, building a new fence, building a parking pad etc. and, throughout all of this, maintaining existing plants and trees. Their workmanship was outstanding and they worked hard and got the job done in a tight time frame. They were particularly adaptive to requests for leaving trees and vines intact and coming up with resourceful and artful ways of combing the old and the new. They are very easy to work with, always willing to discuss plans in detail and make suggestions and adjustments. Their team has a wonderful sense of humour and it was a great pleasure to have them around. 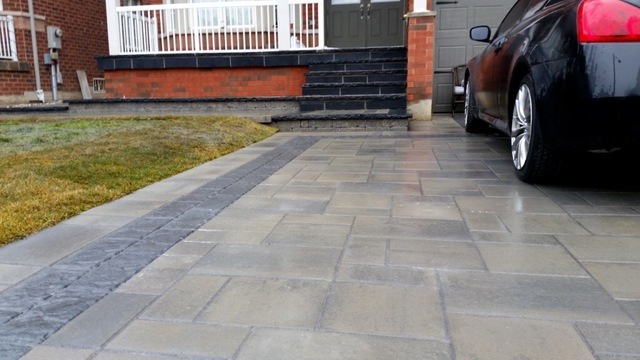 We highly recommend them for an excellent workmanship and outstanding services! 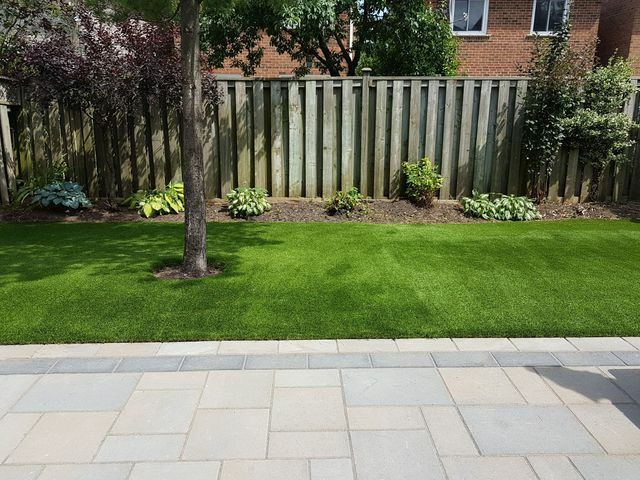 We focus on creating beauty while minimizing maintenance requirements in our customers landscapes throughout the Greater Toronto Area.